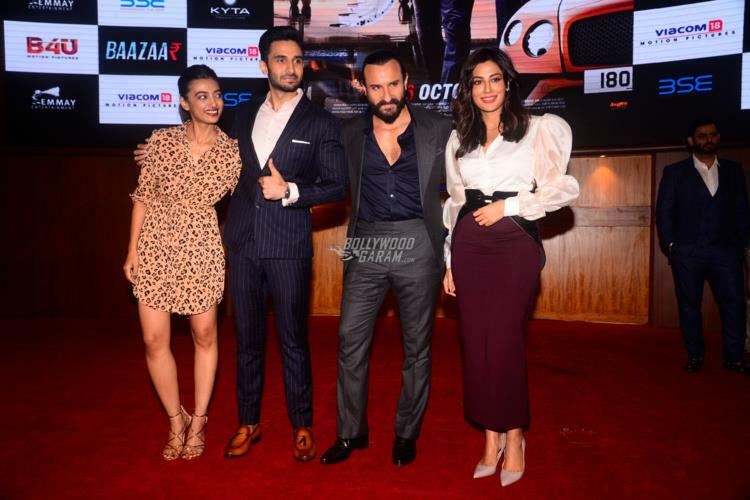 Saif Ali Khan, Radhika Apte and Chitrangada Singh launched the official trailer of their upcoming flick Baazaar at the Bombay Stock Exchange on September 25, 2018. This was the first time a trailer of any film was launched at the BSE’s building. 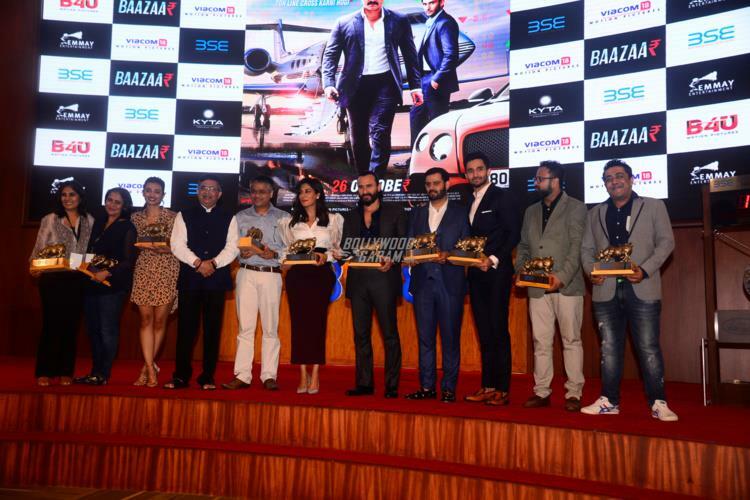 The makers chose to launch the trailer at the BSE building as the film’s subject is based on money, business and stock market. Saif at the trailer launch looked dapper in a formal suit while Chitrangada looked pretty in a white shirt and a skirt. Radhika looked pretty in a printed outfit. Saif in the film will be seen playing the character of Shakun who understands only the language of Money and can go up to any extents to make profits and make his business big in the market. This means Saif will be seen in a grey character. The film is directed by Gauravv K Chawla and also stars Denzil Smith and Rohan Mehra. Baazaar will be released in theatres on October 26, 2018.